ABOUT: An orphaned brontosaurus teams up with other young dinosaurs in order to reunite with their families in a valley. LIVE MUSIC: Visit www.streetfoodcinema.com/the-land-before-time-la/ for the most current Live Music listing! 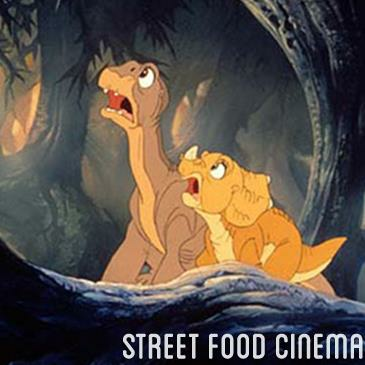 FOOD TRUCKS: Visit www.streetfoodcinema.com/the-land-before-time-la/ for the most current Food Truck listing!